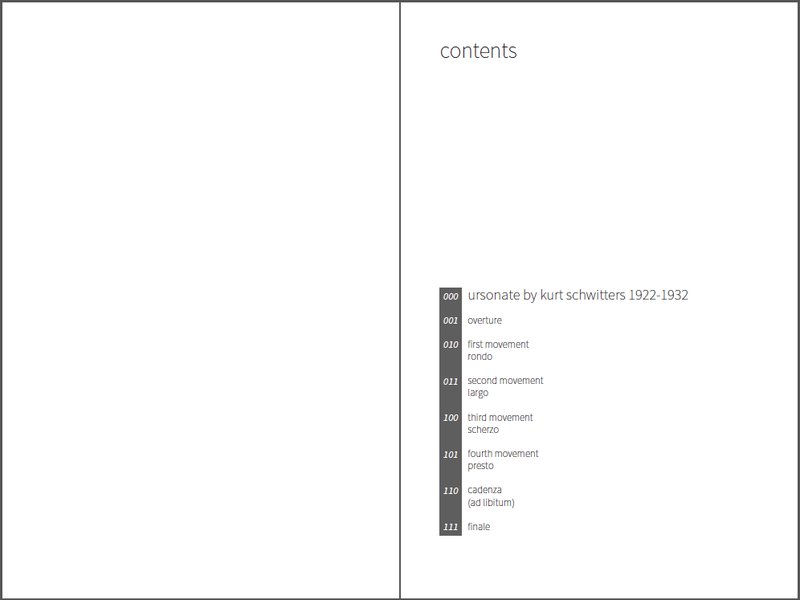 Kurt Schwitters worked during ten years (1922-1932) on his Ursonate, or “Sonate in Urlauten” (“Primeval Sonata” or “Sonata in Primordial Sounds”), a work he later considered one of the two masterpieces he created, the other being his Hannover Merzbau. The sonata is composed of phonetic sounds, and arranged in four movements, an overture, a finale, and a cadence at the end of the fourth movement to be interpreted at the performer’s discretion. These sounds are not meant to signify objects nor refer to a particular concept in language. Rather, given their meaninglessness as language, they are explored for their own sake, their importance residing in the rhythms and associations they create. 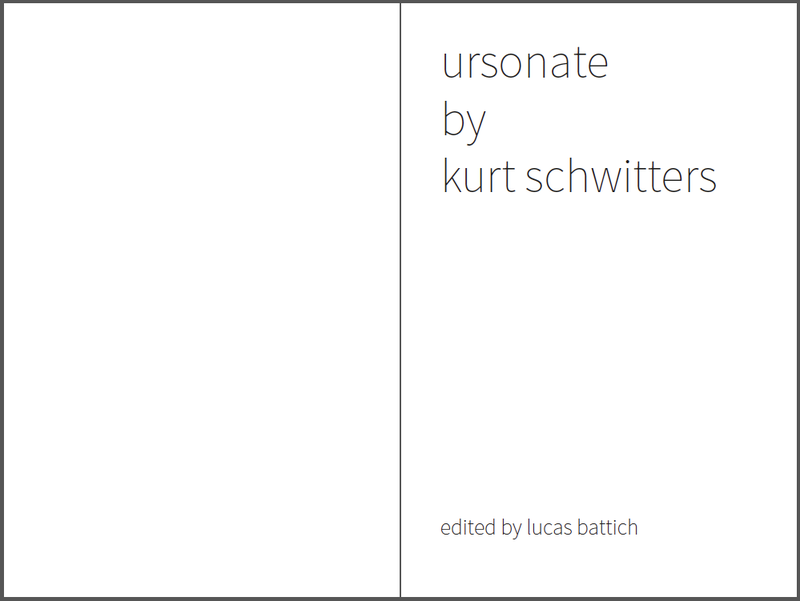 Today, the Ursonate’s score is easily available throughout the internet. 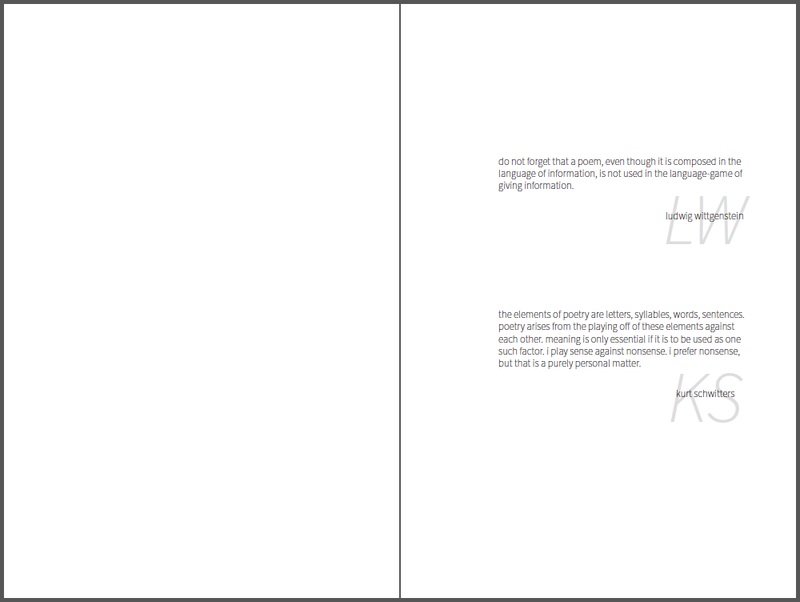 To get there, however, it underwent a few changes. 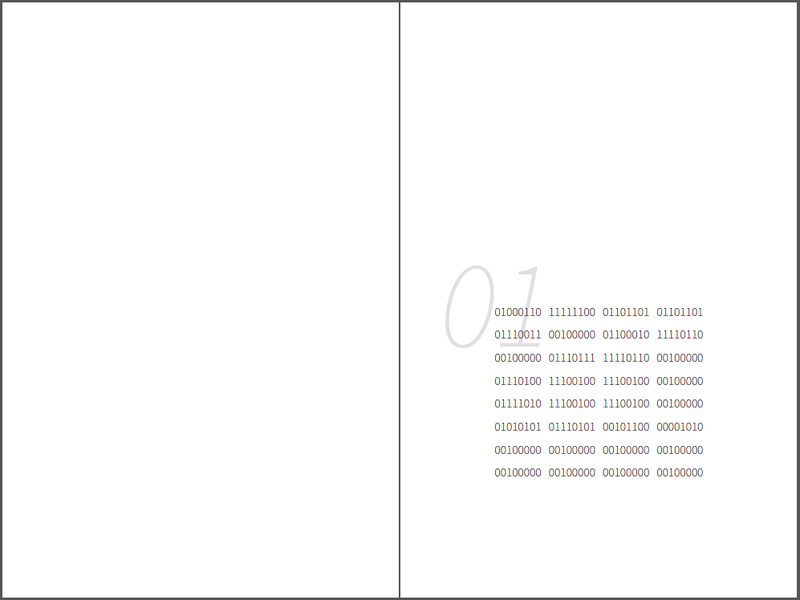 It became translated somehow: encoded. The ‘original’ poem became a surface with something added which it didn’t have before, yet something that is still language and can be read. 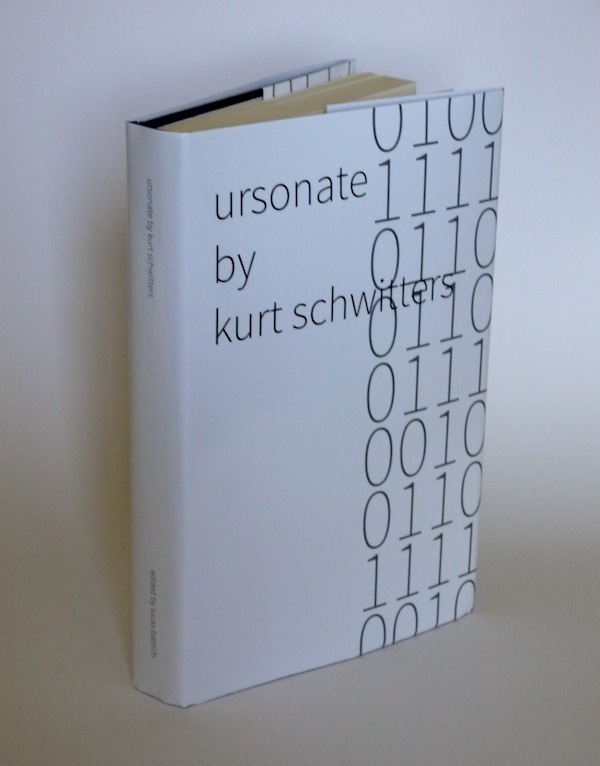 This is edition presents the Ursonate's complete score in its binary form.